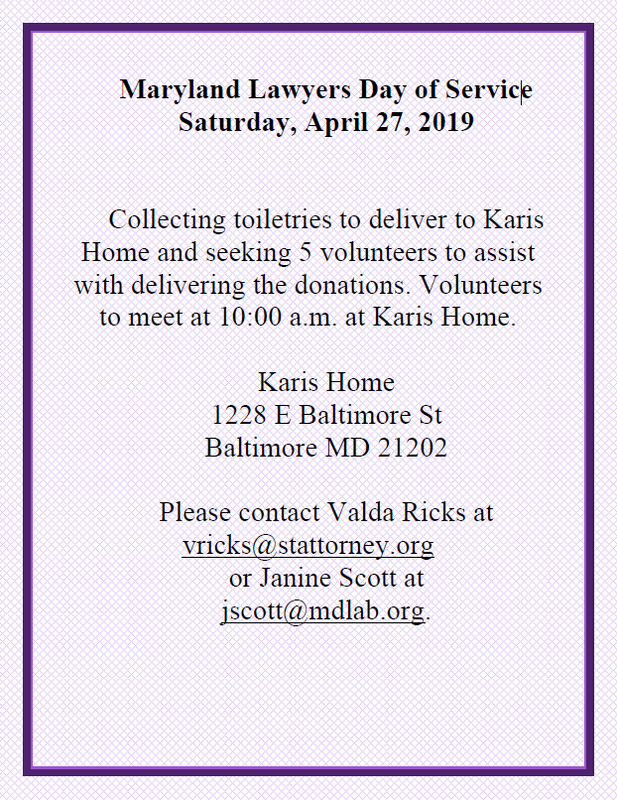 Pro Bono Festival – Alliance of Black Women Attorneys of Maryland, Inc. Hosted by the Bar Association of Baltimore City. Community resources, a free legal clinic, children’s crafts and games, face painting, and more! Please contact Teresa Epps Cummings at tecummings@gmail.com to volunteer.